One of the things I am most thankful for as an adult Christian is the fact that I grew up attending Church. Granted, there were many times when I was there that I wished I wasn’t and I often wondered why it was so important to my folks that I be present and accounted for each time the Church was open but as they say, “Hindsight is 20/20”, and now I can look back on my childhood and praise God for His grace concerning my upbringing and the local Church. Now, I grew up in a small church…an imperfect one at that (as all churches are). It was a church without a large pool of resources in a very rural setting. Often I quietly wondered what I was missing out on because of the limitations our church had, how I could be more entertained if I were involved in a larger Childrens/Youth Group, be happier elsewhere and I guess there was at least some validity in my concerns but truthfully most of them were pretty petty. At the end of the day, I was getting truth, and that was sufficient. I’d be remissed if I didn’t say that I didn’t even realize that I was being fed life changing truth. Truth is, this life changing truth didn’t always come from a sermon our Pastor was preaching or Sunday School lesson (complete with flannel graph) that a gracious and capable instructor was teaching. Sure, they offered truth but I rarely listened with any intention on hearing (there IS a difference between listening and hearing….more on that at a later date). No, the truth would be pressed into my soul each Sunday as I recited a Creed along with every other person in our small congregation, whether old or young. I quoted it weekly, though sometimes mindlessly so. I memorized it as a very, very young child and didnt realize until much later how much it really mattered to me. As Suprised as I was, I said it AND I meant it. 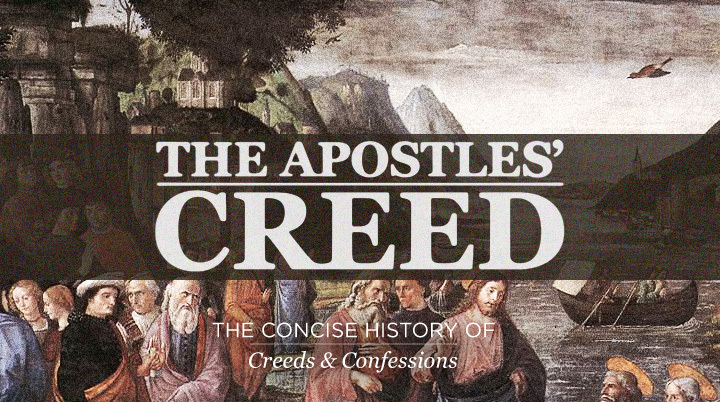 This Wednesday at DS, we’ll begin a Study of the Apostles Creed. It’s orgin, Its signifigance. It’s meaning. At the conclusion of our study, I’ll give you a booklet I’ve written concerning how to incorporate that Creed into Family devotions and why thats so beneficial to you AND to your children.